ABSTRACT: Using 8-hour human laboratory experiments, we evaluated the analgesic efficacy of vaporized cannabis in patients with neuropathic pain related to injury or disease of the spinal cord, most of whom were experiencing pain despite traditional treatment. After obtaining baseline data, 42 participants underwent a standardized procedure for inhaling 4 puffs of vaporized cannabis containing either placebo, 2.9%, or 6.7% delta 9-THC on 3 separate occasions. A second dosing occurred 3 hours later; participants chose to inhale 4 to 8 puffs. This flexible dosing was used to attempt to reduce the placebo effect. Using an 11-point numerical pain intensity rating scale as the primary outcome, a mixed effects linear regression model showed a significant analgesic response for vaporized cannabis. When subjective and psychoactive side effects (eg, good drug effect, feeling high, etc) were added as covariates to the model, the reduction in pain intensity remained significant above and beyond any effect of these measures (all P < .0004). Psychoactive and subjective effects were dose-dependent. Measurement of neuropsychological performance proved challenging because of various disabilities in the population studied. 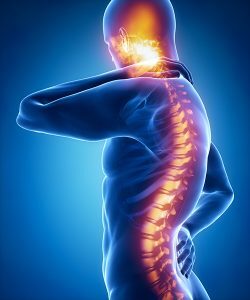 Because the 2 active doses did not significantly differ from each other in terms of analgesic potency, the lower dose appears to offer the best risk-benefit ratio in patients with neuropathic pain associated with injury or disease of the spinal cord.